In modern sediment research on contaminants five aspects are discussed which, in an overlapping succession, also reflect develop- ment of knowledge on particle-associated pollutants during the past twenty-five years: (1) identification of sources and their distribution; (2) evaluation of solid/solution relations; (3) study of transfer mecha- nisms to biological systems; (4) assessment of environment impact; and (5) selection and further development of remedial measures, in par- ticular, of dredged materials. Scientific research and practical develop- ment are still expanding in all these individual aspects. 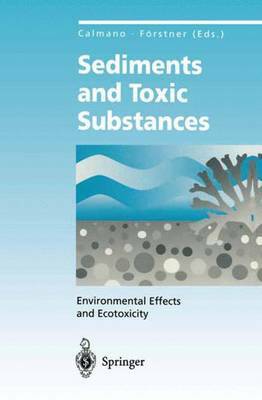 Similar to other waste materials, management of contaminated sed- iments requires a holistic approach. This means that assessment of biogeochemical reactions, interfacial processes and transfer mecha- nisms as well as the prognosis of long-term borderline conditions, in particular of capacity-controlling properties, should be an integrated part of the wider management scheme, i.e., the analytical and experi- mental parameters should always be related to potential remediation options for a specific sediment problem. The underlying coordinated project, which was funded by the German Federal Ministry for Science and Technology (now the Federal Ministry for Education, Science, Research and Technology) provided excellent opportunities for multidisciplinary effort, bringing together biologists, chemists, engineers, geologists and other researchers. During its active phase, the group attracted much interest nationally and internationally. The group members highly appreciate the manifold contacts and invitations during the past five years.